Traffic lights change to yellow. What should you do? What should you do when you are coming up to traffic signals and the signals change from green to yellow? What should you do when you are coming up to traffic signals and the signals change from green to yellow? 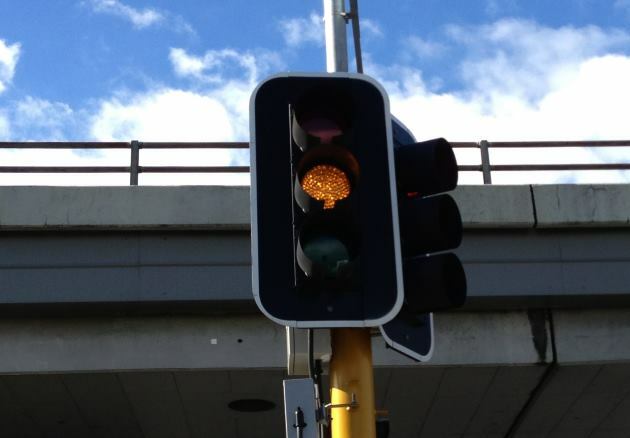 The amber or yellow traffic light comes after a green light and indicates that the lights are just about to turn red. You should stop if it's safe to do so, and this will vary according to the road conditions, the braking ability of your car, and the ability for people behind you to stop.